Last year the United Nations Secretary General’s High Level Panel Report on the Post-2015 Development Agenda called for a “data revolution”. 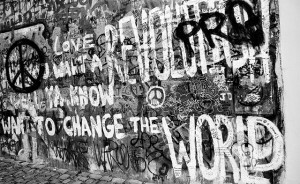 “You say you want a revolution” sang John Lennon. 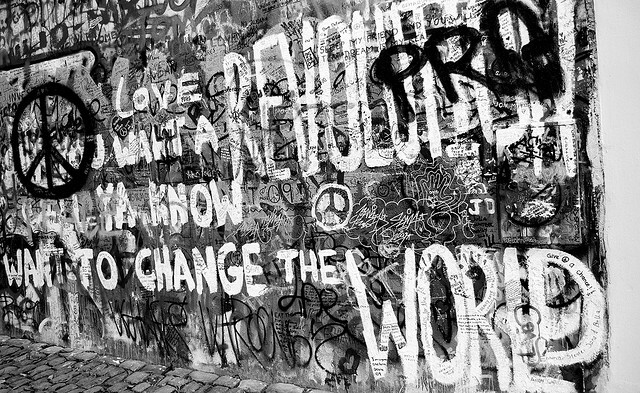 “Well you know, we all want to change the world”. The Beatles may have been singing about the political protests of the 1960s but their song was echoed in some of the reactions to the High Level Panel’s call. No one is against the need for more – and more reliable – data to inform development analysis, monitoring and policy making. Indeed, the call for better data has been a mantra for many years. But a number of voices asked what a revolution would look like and to what purpose? They noted that, in some countries at least, plenty of data are collected but not used. The challenge is also about creating a “data liberation” and stimulating a greater demand for – and capacity to use – data. And so the United Nations Secretary General formed an Independent Advisory Expert Group (IAEG) on “Data revolution for development”. Our group has been asked to craft a framework on what the “data revolution for development” would mean in practice, what institutional and governance implications this would entail and what are the funding implications. Specifically, our Group has been asked to consider how to fill data gaps and strengthen national statistical capacities. We have also been asked to consider what new opportunities might be afforded from both innovation and new data – including Big Data – and how this might complement existing statistical systems. How, we are asking, can data best support the sustainable development goals process, and strengthen accountability across the world? This is a challenging task. Even more challenging is our timeline: we have been asked to report by the beginning of November, and last week the group held its first meetings in New York and consulted with a wide range of people from Civil Society. It is also an important task, particularly for those with an interest in human development. Data has always been fundamental to United Nations Development Programme’s human development reporting. The reports have prided themselves on ensuring that their analysis and recommendations were based on reliable data, while the reports are also a key custodian of development data, with the Human Development Index (HDI) the most famous data item. statistically – how could one accurately measure change in biodiversity when so much is unknown about so many species? Can a data revolution really help? Our answer, so far at least, is a cautious – a very cautious – “yes” to both areas. Much has already been said about Big Data and our Group is paying close attention to it. As is now well known the world is creating enormous and unprecedented amounts of data. Even in 2010 (when much less data was being produced than today), Google chief Eric Schmidt argued that the globe was creating as much data every two days as had been created between the dawn of civilization and 2003! Citizens, businesses and public and private institutions are the engine of this process, providing data on just about anything imaginable. In parallel, sensors, satellites and other tools produce real-time data on the environment, people’s movements and more. While others are analyzing social media data to try to gauge anything from a community’s subjective wellbeing to rising food prices. This all has considerable potential to allow us to measure those aspects of human development that count, but are not yet counted. Big Data also holds the promise of producing statistics almost instantaneously – so called “nowcasting” – and allowing disaggregation to levels of details hitherto undreamt of outside of a population census. But we also need to understand better the risks of Big Data and to agree global principles to ensure it is used wisely and ethically. All of this will help improve decision making. But Big Data alone will not be enough. Many countries still lack basic data about their economic, social and environmental conditions. Data on key aspects of people’s wellbeing are still missing, especially for the most vulnerable and for the “invisible” groups. Moreover, even where data are available, decisions are often not based on evidence. Related to this a lack of data literacy also needs to be addressed: far too many people do not have the skills necessary to understand and use data. And this is important not only for the quality of their decisions, but also for their ability to hold policy makers accountable. Media, when they report statistics at all, sometimes still inaccurately report data. And so the “statistics, knowledge and policy” chain is broken in several places. Another key concern that official statisticians understand better than most is the importance of data privacy. For every potential benefit Big Data offers, there is an equal but opposite risk that an unscrupulous government or group might use the same data to do harm rather than good. Imagine, for example, how much more terribly efficient ethnic cleansing might be with the help of big data. We must be cautious as we move forward. And so while it is much too early to speculate on what our final report might say, we do believe that whatever the revolution holds, it must not become a struggle between anancient regime of traditional official statistics and a new Big Data Republique. A worthwhile revolution will provide a means for Big Data scientists and official statisticians to work together as partners and complement one another. Fraternity, quality, privacy! will be our motto. Enrico Giovannini is the co-chair of the IAEG and is a professor at Tor Vergata University in Rome. He was previously the Italian Minister for Labour and Social Policy, the head of the Italian Statistics Office (ISTAT) and Chief Statistician and the Organisation for Economic Co-Operation and Development. Eva Jespersen is UNDP’s representative on the IAEG. She is deputy director of the Human Development Report Office and earlier guided a number of data initiatives at UNICEF’s Innocenti Research Centre. I am very interested in looking at some of the data, analysing and writing about the findings. I am Assistant Professor in Marketing at the College of Saint Rose and am very interested in issues related to sustainable consumption. Please let me know how I could contribute. I am one of those who do not understand data. but I do know this it is knowledge and we as people must be very careful how that knowledge is used .not just for the here and now but like you mentioned the future as well. with that in mind it would be a good idea to keep that in the message to the public you are sending. as reminder to just be careful. and non harmful with this amazing new tool called data. the one thing I have learned in this life so far is that being harmful to your fellow man when it is not needed , is a horrible thing. no matter weather it is physical, mental, verbal or emotional. I say this because of been exposed to all 4 of those and who much of a negative affect it has made in my life .and I do not wish to have to be put threw any more. with that I thank you for allowing me to have an opinion on this subject and wish all a wonderful week. Data revolution is long over-due. We have seen how decision-makers, policy-makers, citizens, business, donors, human development researchers, legislators, disaster managers, etc., have struggled to anticipate human development needs correctly or, at least accurately. Worse of it all, is the absence, ignorance and naivety to consider (un) sustainability issues. Development needs demand have a bearing on degradation, cross-border social cohesion, resource depletion, rising inflation, national fiscas dependency, restricted unsustainable economic growth and unfavourable climate change consequences. It has become even more pronounced in the advent of the rapid information age and rampant economic growth patterns, accelerated population numbers and migration patterns. Administrators, policy-makers, governments have yet to respond adequately to development needs of the citizens. Conversely, the citizens have not sufficiently understood the power of knowledge that rests in data, to hold decision-makers accountable. Administrators and government heads have yet to appreciate the importance of development progress reports in evidence derived from data, eg. administrative registers, records, etc. It should be a responsibility of every report audience, to demand officially certified and approved data to be included in any and every progress report, for measurement, good governance, accountability, monitoring and evaluation, assessment, record-keeping and decision-making. Developing economies are best placed to be the anchors of data revolution strategies. The existing statistical systems of the member states should be evaluated in terms the current status quo of statistical offices, policies and legislation. The evaluation should inform the appropriate intervention, support and programme interventions that are specific to that particular member state. National Statistics offices should be elevated to the level of over-sight, auditing, co-ordination and the administrative leadership role, such as the presidency. That elevation shall translate into the national statistics office’s authority to co-ordinate all state statistics, they be from private or public producers. The national statistics office of every member country shall be the authority and auditor of all country data. Elevation per se, should not be a imposition on other sectors. The head of national statistics office should foster integrated and harmonious relations with other data producers and exercise that role, independently. National fiscas ministers of member countries must develop a sustainable funding plan from the existing allocations and derive evidence-based demands for additional funding from other sources, such as donors, the development agencies, the World Bank, the International Monetary Fund (IMF), the UN-based development agencies, etc. Developed countries should offer skills, human and technological assistance to developing economies without prejudice, undue influence and independently. Such assistance must be sustainable, coherent and futuristic. The past experiences must inform the current status, in order to advance evidence-based future interventions, for sustainable development. Statistics for measurement, evidence, decision, reporting, planning, funding, accountability, management, monitoring, development, economic growth, good governance, record-keeping, public discourse, intelligence, resource allocation, strategic intervention, information and disclosure should be the corner-stone for the adoption and fullfilment of the global data revolution agenda.